Before you start, if you want to download my coupon, scroll below. OR…you can create your own by following my steps below. Step 7 – It will then bring you back to the 1st pop-up box. In that box there is a tab (toward the bottom left) that says “New Document”. Push that button. Step 8 – Now you want to go to the top of Word and select the “Page Layout” tab. Step 9 – Select the “Orientation” tab. Step 10 – Click on the “Landscape” option. Step 11 – Now click on the “Margins” button. Step 12 – Select the “Custom Margins” button at the bottom. 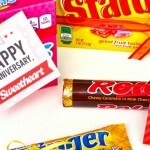 Step 14 – I chose to do a cute border around my coupons, but it is totally an OPTION not a MUST. If you want each of the boxes to have a border, select the “Page Borders” button (in the “Page Layout” tab). Step 15 – Select which border you want and the size. You can also select where the borders will go (just on the outsides, insides, or all 4 sides of the box). I did mine around all 4 sides. 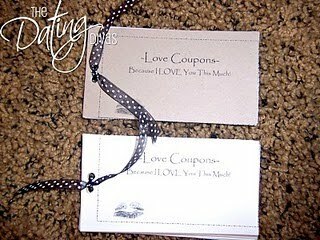 Step 16 – Your coupons are now ready to make cute! I, of course, wanted a cute font so I chose to use the font “Papyrus”. I also wanted a cute picture on the coupons. I found a cute picture of some lips in the clip art section. Step 17 – I then added a text box on each coupon, where I typed each coupons “value” into. To find a text box go to the “Insert” tab in Word and select the “Text Box” button. You can place the text box anywhere you want to on the coupons. I centered mine. Step 18 – Now you are ready to type. 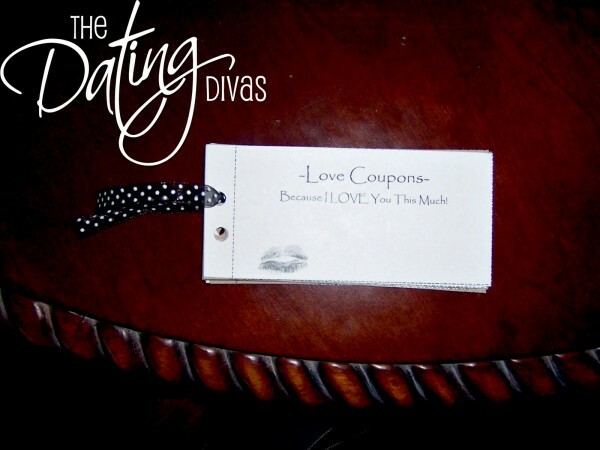 Make sure you make your first coupon similar to a title page, explaining what this book is. Once you have finished typing your coupons, they are ready to print. 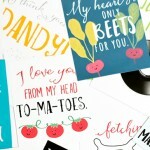 Step 19– I printed mine on 2 different colors of card stock (and alternated them through the whole book). Print the coupons. Step 21 – To bind, I punched 2 holes on the left side of each coupon (make sure to line all them up properly), then I alternated my colors and stacked them in a pile. Step 22 – I then cut about 4-6 inches of ribbon, put it through the holes, and tied a knot. Step 23 – Now you are finished. Have fun! 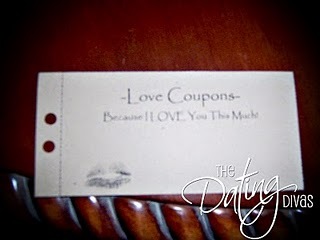 Still looking for some more cute coupon ideas for your love? Check out Sarina's DIY Love Coupons and my 29 Stocking Stuffer Coupons! You girls are super cute and creative! 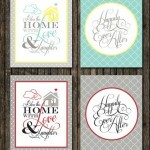 I love coming to your blog and seeing the cute things you do!! 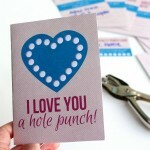 I was puttering around pinterest looking for something easy to do for my hubby as an “I love you”. This is wonderful, thank you! @Sarah-I am SO happy you enjoyed this! Good luck! 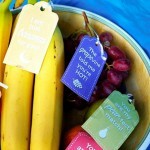 You guys are awesome, I love your blog. Thank you!!! Lisa- I am so glad that you enjoy our site. You are VERY welcome :). This is super cute! Thanks for sharing your beautiful creations!! Nancy – so glad you liked this. Have fun with them!